Mom's Gone Bronson! 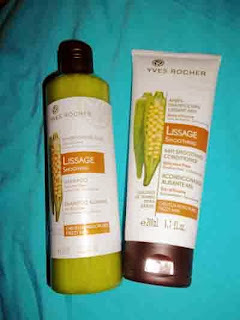 : Yves Rocher Botanicals Hair Care Review! It is that time of the month where I bring you some new Yves Rocher products and this time around I have for you some items from their Botanicals Hair Care line, which is designed to bring you quality hair care without the unnecessary extras like silicone, parabens or colorant! Yves Rocher knows that there are a plethora of different hair types and so they have designed sets to smooth, add volume, repair and nourish the hair, as well as formulas for gentle application and much more! Each of these new products is 100% of botanical origin and packed with natural elements from Okra Seed Extract [for its nutritional value] to Witch Hazel [for its calming properties] and each of them can be found at Yves Rocher's website, which you will be able to find if you head over HERE! I personally have the craziest hair on earth some days, I think we all do, but I always find it frizzy and "fat" in need of taming and smoothing out, which is why I navigated more towards the Smoothing set, with Okra Seed Extract, from the very get-go! 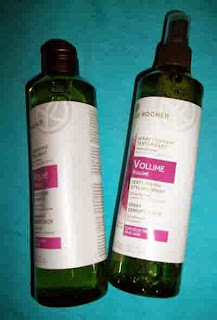 I put aside the shampoo and conditioner I was using and replaced it with Yves Rocher's smoothing shampoo and conditioner and have been using it for the past week and so far I am happy with the results! I generally wash and condition my hair every other day and it is either left to dry naturally or I pull out the hair drier and straightener and spend an eternity styling it but, either way, my hair is altimately left smooth and soft by the Botanicals products! The cost [at the time of writing this review] for the shampoo sits at $5.00 per 300ml bottle and the same for the conditioner, too! A very good price for some great products that will leave you feeling fresh, clean and guilt-free! With each extract being specifically chosen for each hair type, Yves Rocher's Botanical's are able to reach a higher level of effectiveness while remaining gentle on the hair and scalp. They are also gentle on the environment, too, with each formula being easily biodegradable - the bottle is even recyclable, too! You really couldn't ask for much more in a hair care product! 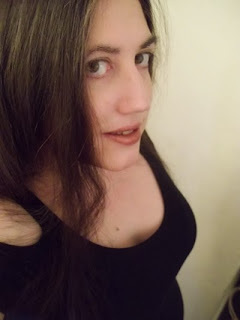 My photo shows my hair after just a few washes and a quick blow-dry. If it can look this good for me, it can work for you, too! If you are interested in finding out more about each of the products in the Botanicals hair care line, just head on over to the Yves Rocher website and take a look for yourself! You will find all manner of goodies from shampoos and conditioners to masks and even rinsing vinegar, which you are simply going to adore! I would LOVE to hear from you, as always, if you have tried any of these products, or even if you're excited to try them in the near future! 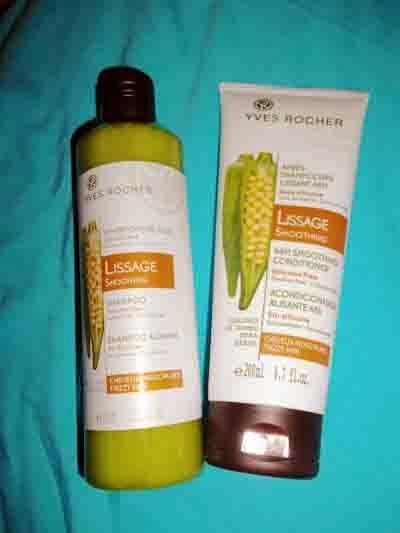 Let me know what you think, and let Yves Rocher know, too! Disclaimer: I was provided with products in order to write this review. I was not otherwise compensated. All opinions are my own and yours may differ. Thank you!